We’ve all heard of world-famous Japanese companies like Sony, Toyota, Nintendo and Mitsubishi. No doubt you could prattle off a great big list of Japanese brands – but what about Japanese beers? Well, let’s take a look at the beers and breweries in Japan, as well as the history of beer in Japan and its popularity today. Beer is the most popular alcoholic drink in Japan, with consumption per capita sitting somewhere around the 45 litre mark – that leaves Japan around the mid-30s on the list of countries by beer consumption per capita (the Czech Republic, Germany, Austria and Ireland normally feature at the top). Lager is the preferred beer in Japan and the Japanese beer industry is largely dominated by four major breweries: Asahi, Kirin, Suntory and Sapporo. You might have seen many of these beers in places like the United States, the United Kingdom, Australia and New Zealand, where at least three of the four top Japanese breweries either export their beer or it’s made under licence by domestic breweries. However, Japanese craft- and microbreweries are also alive and well, while much smaller breweries also manage to survive primarily by making more distinctive tasting beers than the big breweries. There are currently more than 200 microbreweries in Japan. Interestingly, beer is sold in vending machines in Japan and can be consumed nearly everywhere. The country has fairly relaxed laws in regards to the selling and consumption of alcohol, and you’ll find it for sale in most supermarkets and convenience stores, and even on some train platforms. If you’re visiting Japan, keep an eye out for the seasonal varieties of Japanese beer. The major Japanese breweries put out “winter beers”, for example, with higher alcohol content and a different taste. The Japanese have been brewing beer since at least the 17th century, the early Edo period when Dutch sailors first introduced it to Japan. Over time, beer gradually became accepted into Japanese culture – but for a long time foreign trade was restricted and beer drinkers were largely cut off. The Treaty of Kanagawa in 1854 reopened trade in Japan to foreign countries and tourists, which also allowed beer to make its come back. Meanwhile, the Japanese beer industry didn’t really take-off until the late 1800s, when the Kaitakushi Brewery was founded by a German-trained Japanese brewmaster in Hokkaido. In 1886 it was sold and renamed the Sapporo Beer Company. 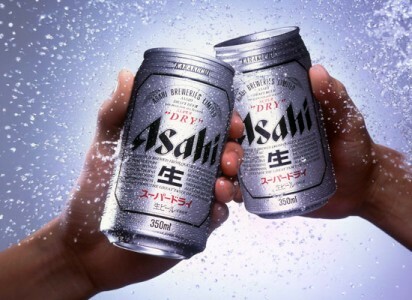 Asahi Breweries started in Japan in 1889 and major Japanese brewer Suntory was founded in Osaka in 1899.